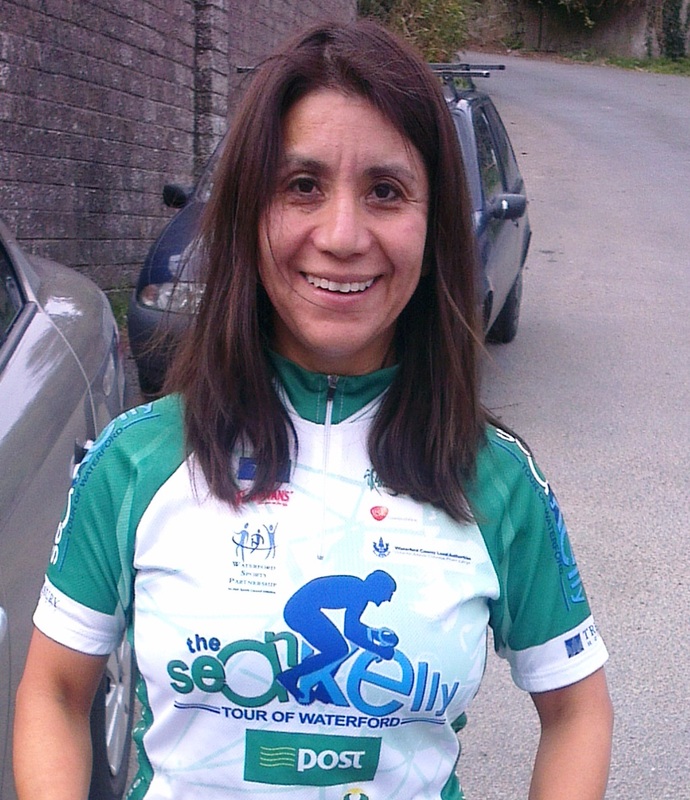 Rebeca Power – in cycling rather than swimming mode! Rebeca Power has been based in Cork for work for the Summer and swam most weekdays in Myrtleville. It’s a lot colder getting into open water swimming in Ireland compared to Mexico! At first she was getting ready for TriAthy, but then kept moving up steadily on her distances and from wetsuit to togs. She’s a pleasure to swim with and no matter what the conditions or tides, she’s always up for a swim: nothing fazes her. Not many people would leave home in Thurles to be in Myrtleville for a 6.30am swim. Rebeca did it at least once a week all Summer. This weekend she completed the 5km Long Swim to Tipperary. Congratulations, Rebeca. This entry was posted in Information and tagged Open water swimming - Cork, Sea Swimming, Sea swimming - Cork, Triathlon by myrtlevilleswimmers. Bookmark the permalink.